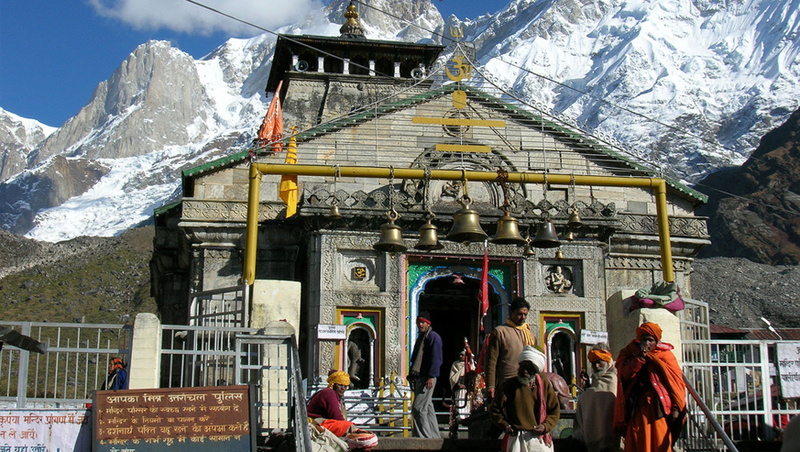 Chardham package made latest kedarnath night with chardham yatra package ex Haridwar, Rishikesh, Dehradun, Mussoorie. We are provide complete chardham yatra package in 09 nights 10 days. luxury chardham yatra package ex haridwar, budget chardham yatra package ex haridwar, deluxe chardham yatra package ex haridwar, chardham yatra package 2019. 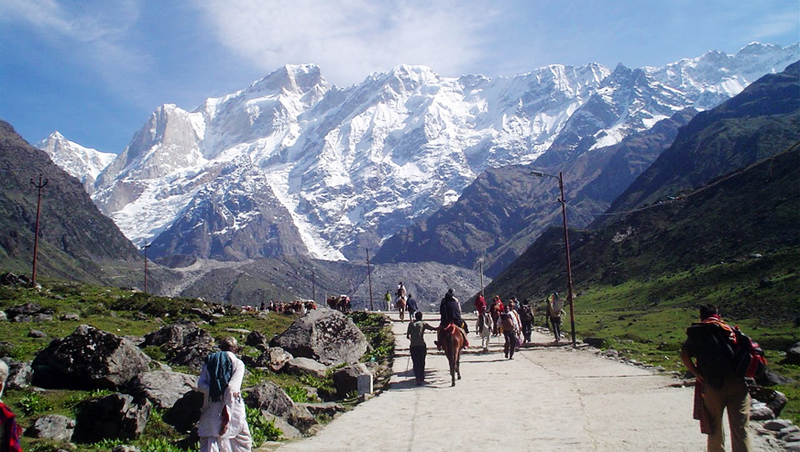 Chardham Yatra Ex Haridwar - Chardham The most important Hindu religious path in the Himalay.The path passes through four Hindu pilgrimage destination - Yamunotri, Gangotri, Kedarnath and Badrinath. Day 01 : Haridwar Barkot(210kms/7-8hr)Height: 1352 MTS. Morning meet our driver at haridwar & drive for Barkot via Mussoorie, enroute visit Mussoorie Lake & Kempty Fall in Mussoorie. Later drive straight to Barkot. Check into the hotel arrival in Barkot. Overnight stay at Barkot. Barkot Weather - Generally pleasant in summer, the temperature ranges from 25-30 degree Celsius, Winter: The Days are pleasantly cool but the nights are cold,temp ranges from 10 deg to 05 deg. Early morning after breakfast (packed breakfast), drive to Jankichatti / Phoolchatti & star trek from here to Yamunotri (6kms) (Either by walk or by horse or by Doli at own cost). After taking bath in Jamunabai Kund's warm water and having "Darshan" of "Yamunaji" return to Jankichatti by trek. Later drive towards Barkot, Overnight stay at Barkot. Yamunotri Temple : Maharani Gularia of Jaipur built the temple in the 19th Century. It was destroyed twice in the present century and rebuilt again. At Yamunotri, One can cook rice by packing it in a cloth and dipping it in the hot water of the Tapt kund. Pilgrims take this cooked rice home as "Prasad". Here near the temple "Pooja" can be offered to Divya Shila. Surya Kund : There are a Number of thermal springs near temple, which flows into numerous pools. The most important of these is Surya Kund. Yamunotri Weather - In summer the maximun temp is 18 degrees and the minimum is 10 degrees celsius. The days are pleasantly cool but the nights are cold. Day 03: Barkot Uttarkashi (100kms/4hr) Height: 1352 MTS. Morning after breakfast, drive to Uttarkashi. Visit Shivgufa on the way to Uttarkashi. Arrival in Uttarkashi visit Kashi Vishwanath Temple in Uttarkashi city. After that check in Hotel. Day free for rest. Overnight stay at Uttarkashi. Shivgufa : Shivgufa is Small temple between Shivkhori Barkot & Uttarkashi. Maximum devotee take darshan and then go to Uttarkashi. Day 04 : Uttarkashi Gangotri Uttarkashi (100kms/3-4 each side) Height: 3048 MTS. Day 05 : Uttarkashi Guptkashi (220kms/8-9hr) Height: 1319 MTS. Day 06 : Guptkashi / Kedarnath / Guptkashi (30kms by road & 19kms Trek one way)Height: 3384 MTS. Day 08 : Guptkashi Badrinath (220kms/9-10hrs) Height: 3133 MTS. Day 09 : Badrinath Joshimath Rudraprayag (160kms/7hr) Height: 895 MTS. Day 10 : Rudraprayag Haridwar (165kms/5-6hr).